So you will see some color and type, but the main focus of this round is still the logo itself. This slide show starts with the original 4E goes through some of the tweaking. 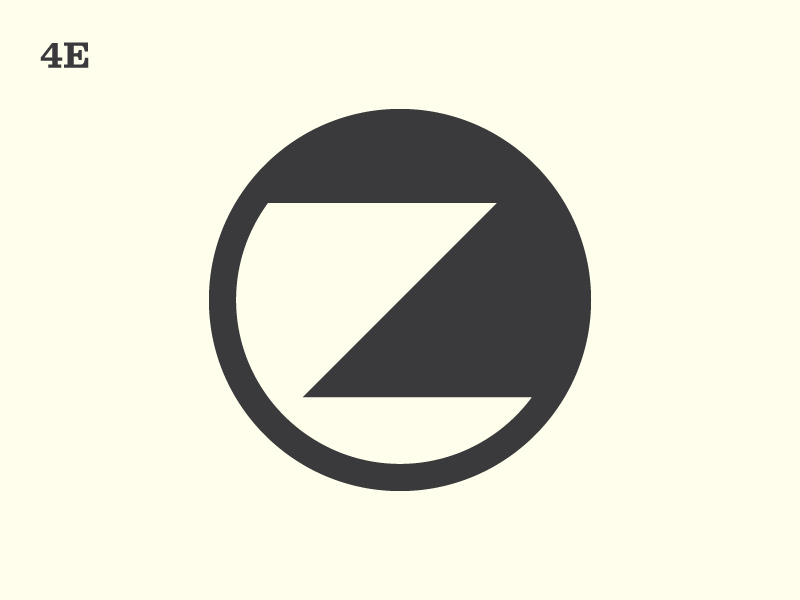 It is always nice to have a solid single color version of your logo, but the places the Zollikon logo is going to be used I think it could easily exist in two or more. So you will see a two tone version below as well. Since you mentioned being drawn to 4E for it's roundness I wanted to revisit 1E but as round. It has some intresting characteristics as see in the animation below. Version of an abstract half.